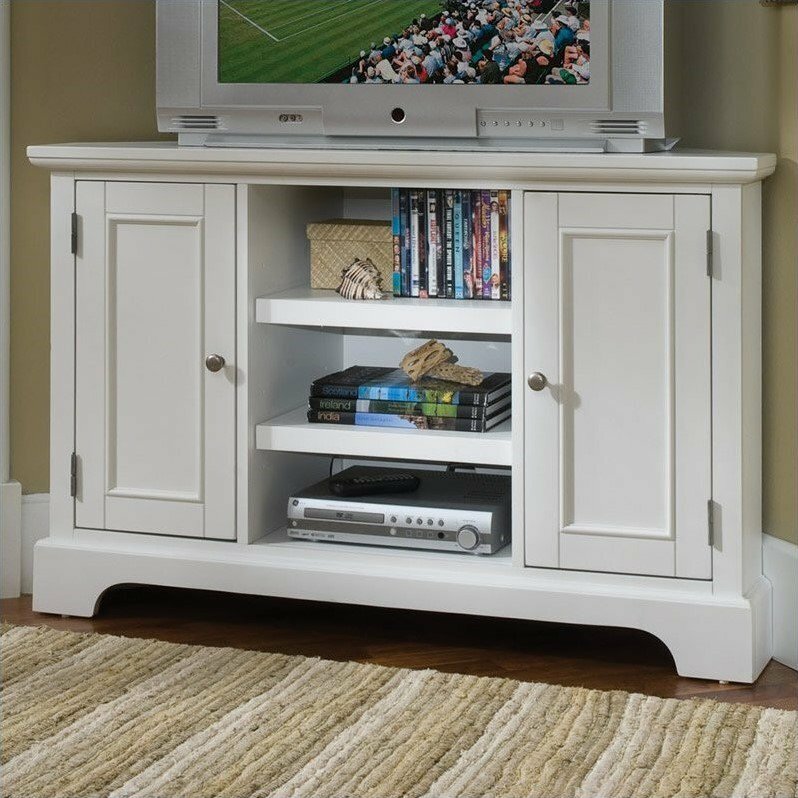 The Naples Corner Entertainment TV Stand has solid hardwood and engineered wood construction in a rich white finish. It features a great space-saving corner design, two side doors and a center open compartment with adjustable shelves for ample storage. With easy assembly, the fashionable and functional Naples Corner Entertainment TV Stand is sure to fit comfortably in your living room or entertainment area.